Thousands of black people sought refuge in Canada before the U.S. Civil War. While most refugees encountered at least some racism among Canadian citizens, many of those same refugees also thrived under the auspices of the Canadian government, which worked to protect blacks from the U.S. slaveowners who sought to re-enslave them. This work brings to light the life stories of several nineteenth-century black refugees who managed to survive in their new country by gaining work as barbers, postal carriers, washerwomen, waiters, cab owners, ministers, newspaper editors, and physicians. 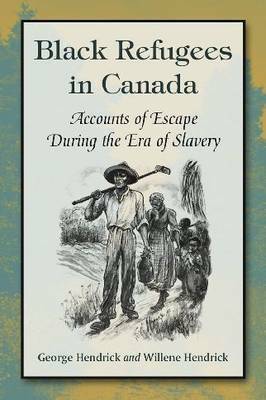 The book begins with a short historical account of blacks in Canada from 1629 until the early 1800s, when the first groups of escaped slaves began to enter the country. George Hendrick, who served as first president of the James Jones Literary Society, edited To Reach Eternity: The Letters of James Jones. Helen Howe taught American literature, composition, and creative writing at Lincoln Trail College in Robinson, Illinois, before retirement. Her husband, Tinks, was a childhood friend of James Jones. Don Sackrider, a retired airline captain, became the second student in the Handy Colony after James Jones.